Do you love pickle juice snow cones? Is the pickle your favorite part of a sandwich? 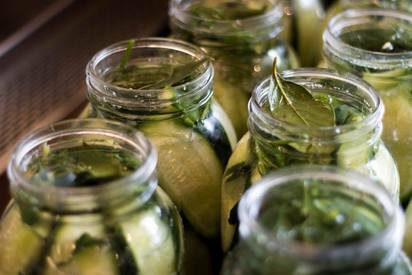 Are there several open jars of pickles in your refrigerator right now? Pickles are loved by many for their zippy burst of flavor, but they can also bring you some pretty cool health perks. At the supermarket, you’ll find two basic types of pickled cucumbers: naturally fermented (in the refrigerated section) or preserved in vinegar (on the shelf). Both have their benefits.